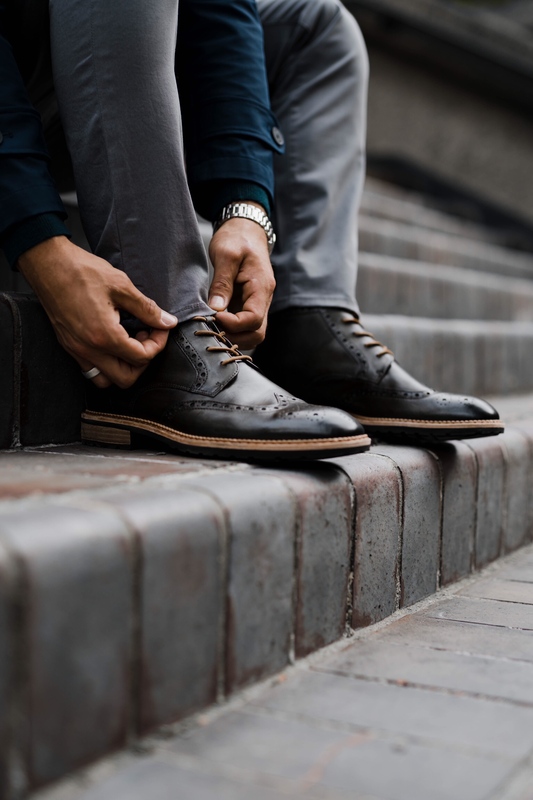 Autumn is upon us and it’s time for you and your wardrobe to ease into the upcoming season with some essential pieces; items that can form the basis of outfits for the season ahead. 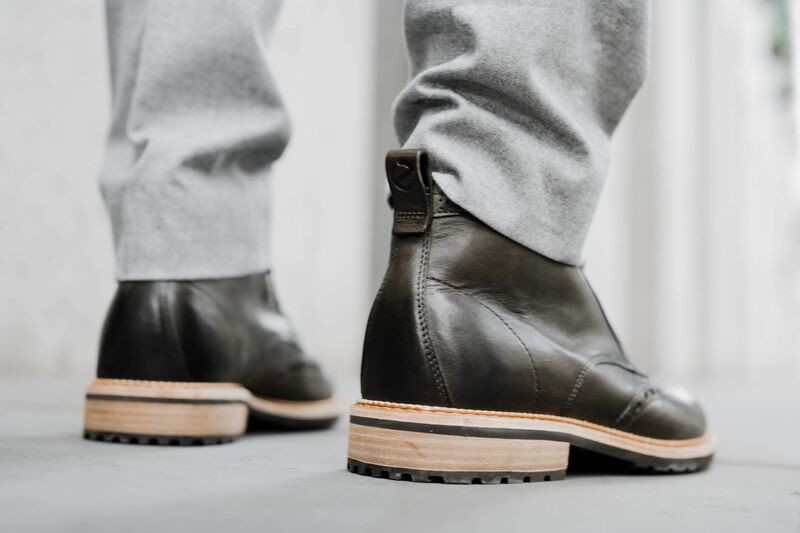 When I think about Autumn staples – items that play an integral role in my Autumn Winter wardrobe, the classic leather boot ranks pretty highly. 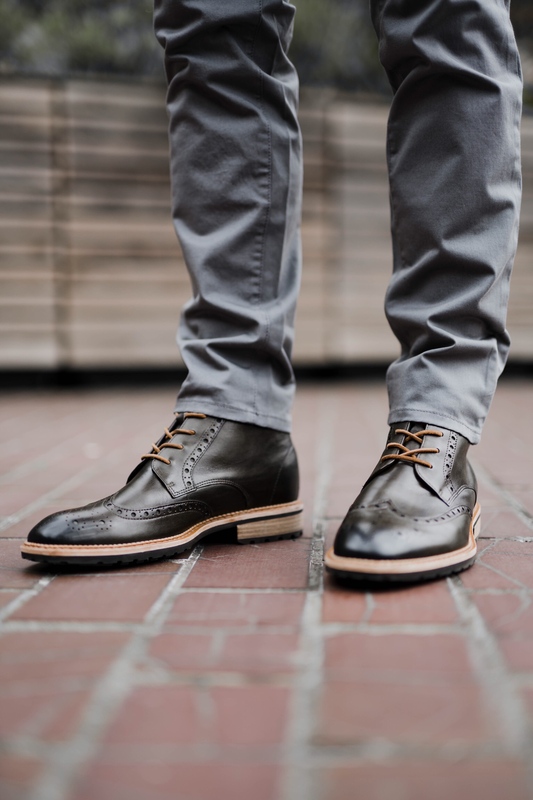 They tick all the boxes in terms of versatility, style-ability and most importantly a leather boot is weatherproof. 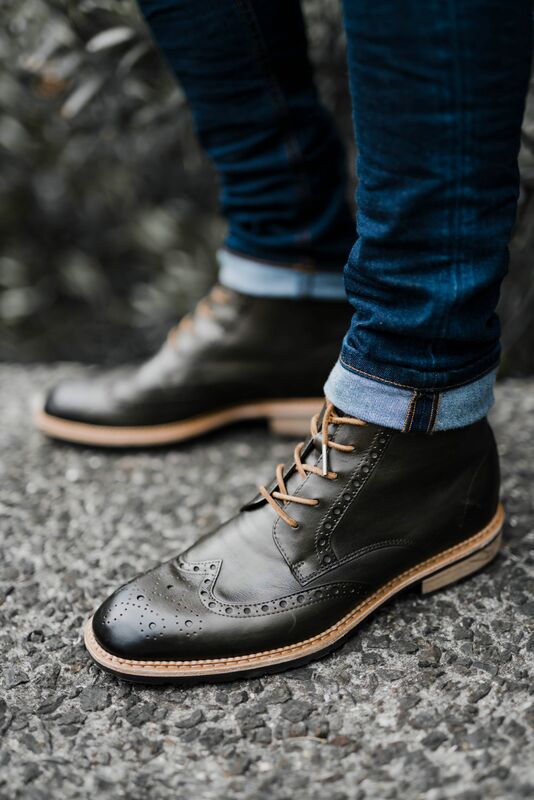 A good quality leather boot is always going to be an investment and I would suggest it’s a shoe that’s really worth spending the money on as when it comes to footwear you really do get what you pay for and a classic leather boot will last for years to come. 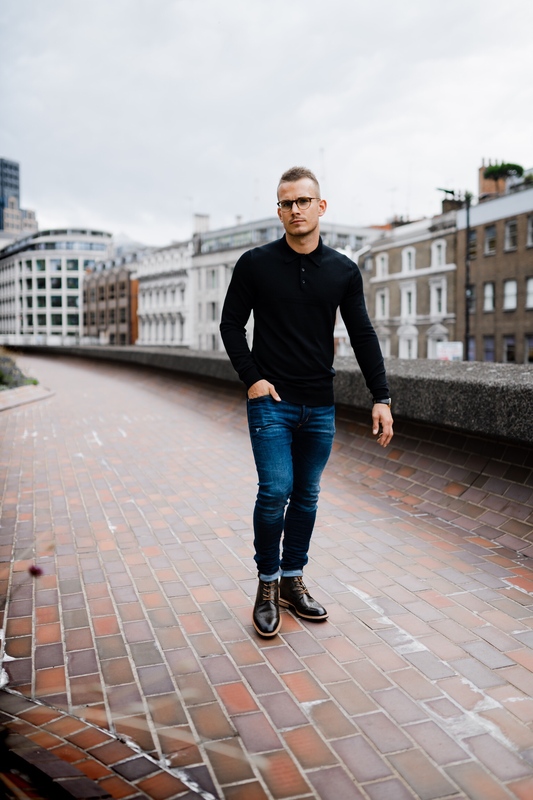 My current fave is the Vitrus boot from ECCO shoes, classic and smart in it’s design, ultra versatile and extremely comfortable – ideal for any of you commuters out there that are looking to stay smart and comfy during the incoming inevitable wet weather! 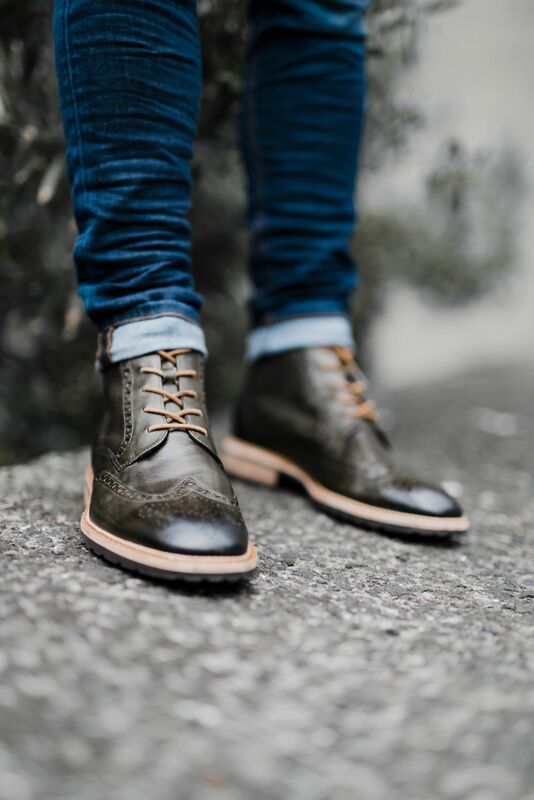 Jeans are my go to if the weather is looking dodgy and if I’m craving comfort then leather boots are the ideal partner in crime. 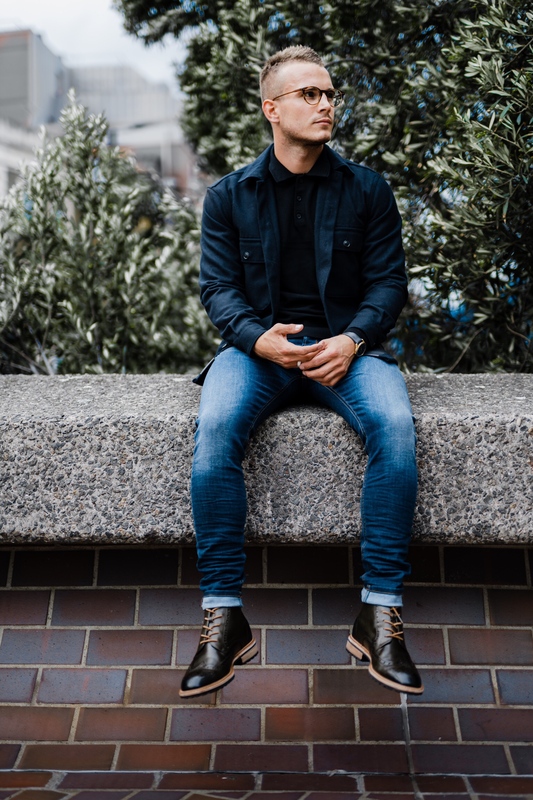 The ultimate of all smart/casual combos, they are well-suited to a day of meetings or even a night out down the pub with the lads. 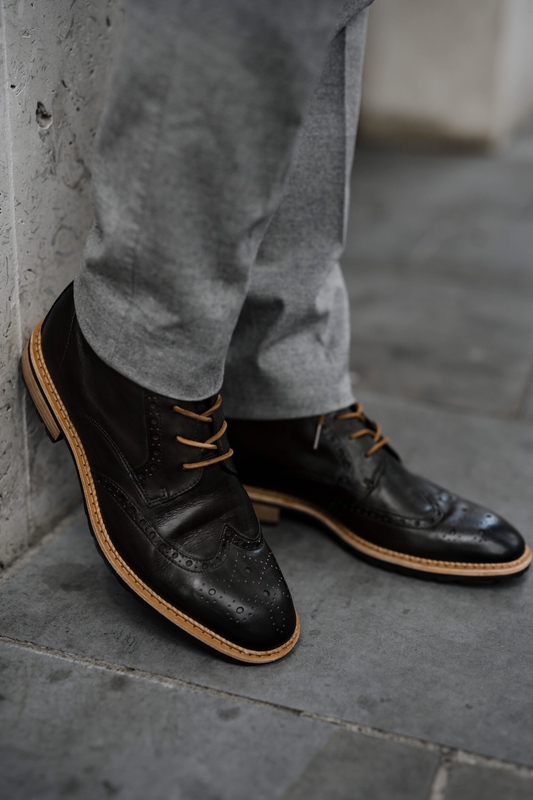 *Top Tip – Adding a small turn-up at the base of the jeans is a great way to add some texture and contrast to the look and looks particularly effective with boots or leather kicks. 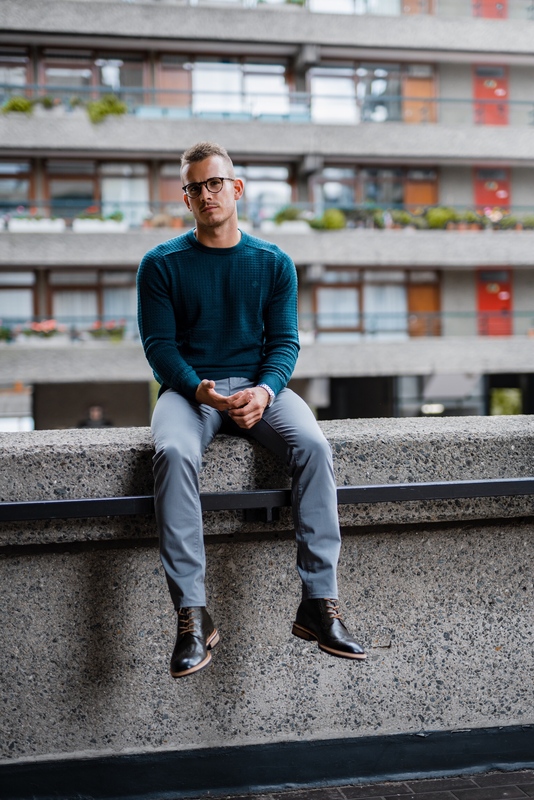 Chinos have long been a staple for the modern day gent and shouldn’t be overlooked this season despite their potentially perceived simplicity. 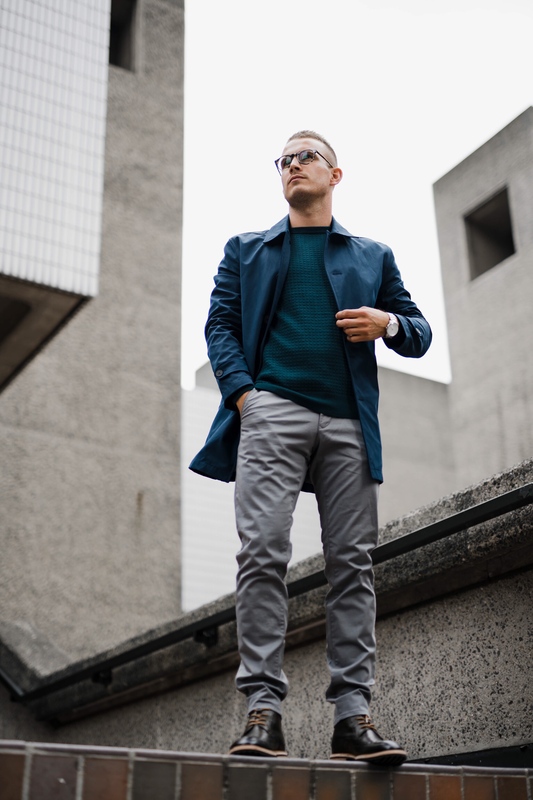 A cracking alternative to the more casual jeans or the overly formal tailored trouser, chinos are without doubt a Man About Town staple and I particularly like this charcoal grey pair which works well with all manner of colour pairings and footwear. 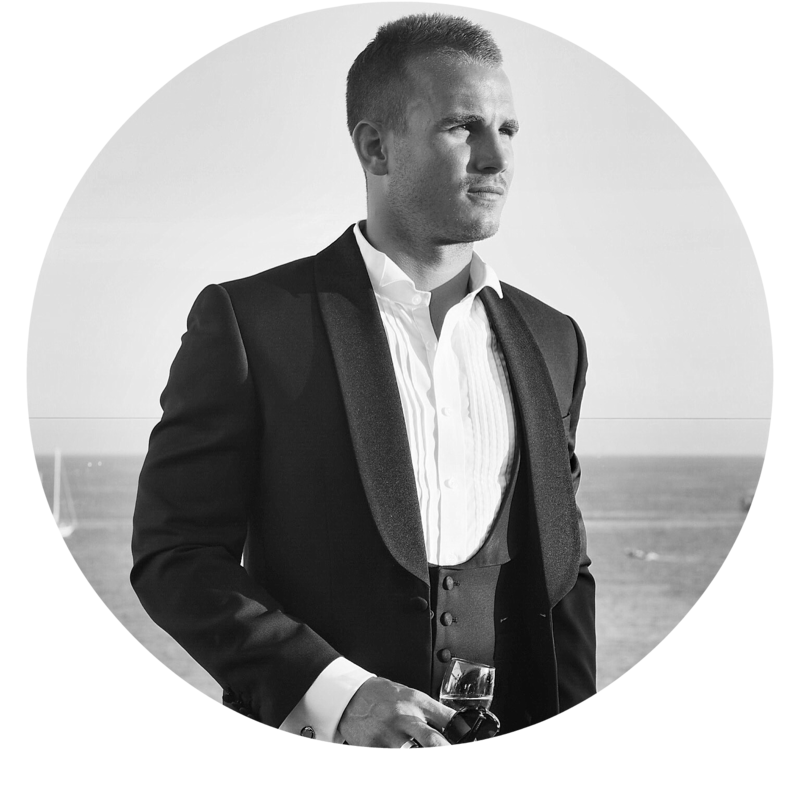 *Top Tip – Do not be afraid to visit your local dry cleaners or tailors to get your chinos tailored to the perfect length, everyone is different and far too many of us are accepting of the ‘off the peg’ sizings typically available. 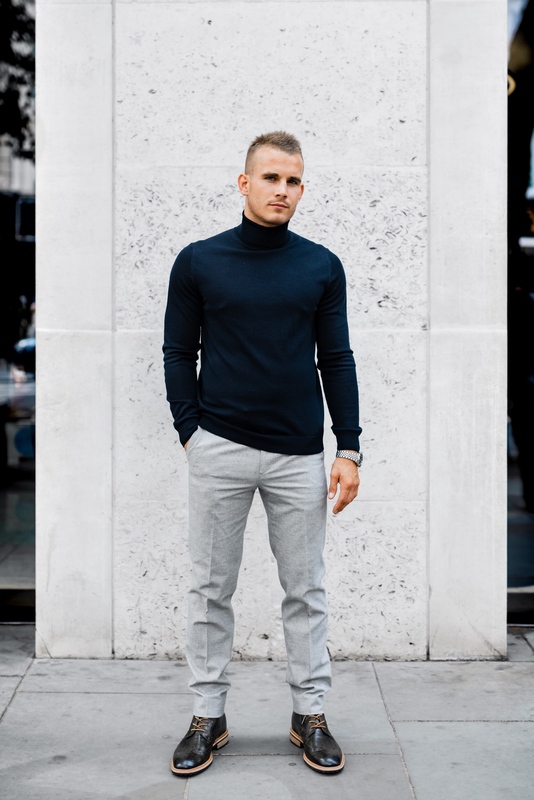 I am roll-neck obsessed and I don’t mind admitting it. When paired with tailored trousers, for me, there is no smarter look. 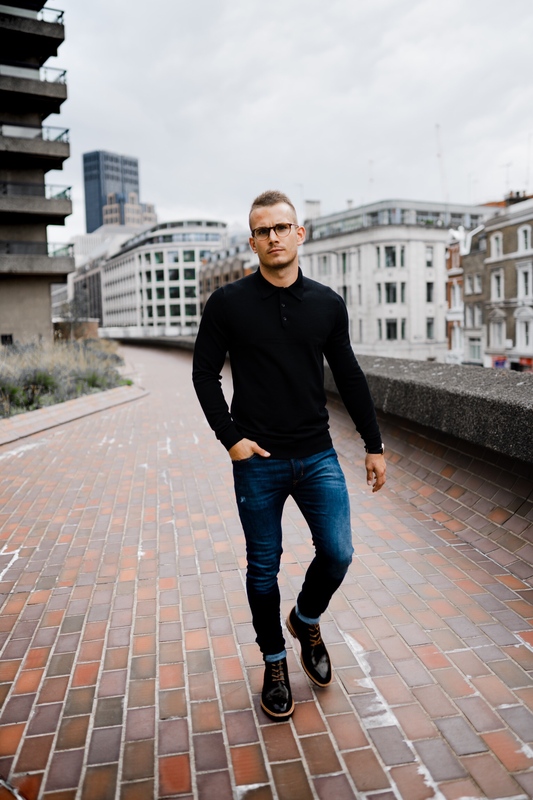 A decent quality roll-neck trumps a shirt every time in my book, with the added benefit of no ironing required! 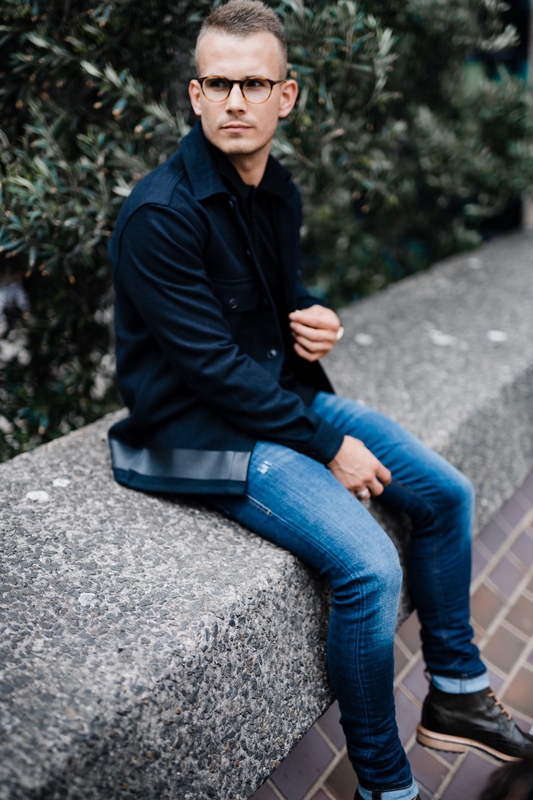 Tailored trousers are another must-have for this time of year and pair them with boots for the smartest of looks for those special occasions such as date night or work drinks. 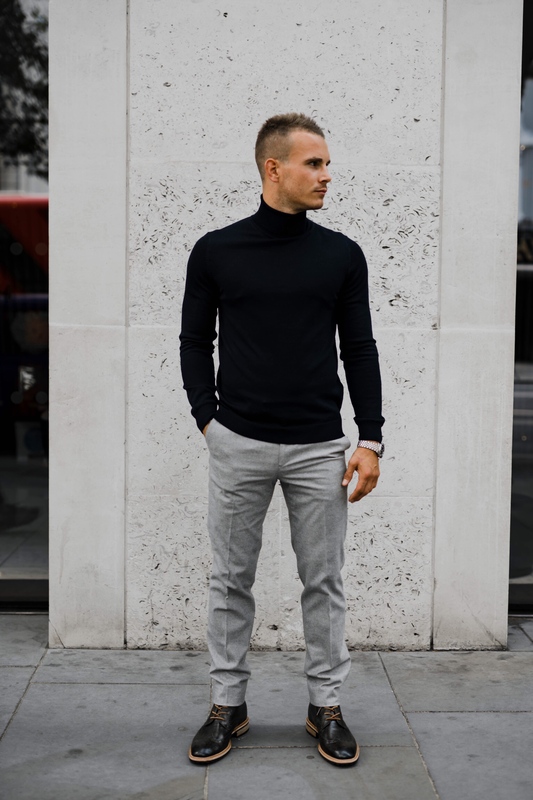 *Top Tip – Invest in a number of roll-necks in different colours (grey, navy & burgundy are my personal fave) and if you are ever in doubt of how smart an event or occasion might be, dust yours off and pair with a blazer, over-shirt or simply wear on it’s own. Which is your favourite look and way to style the boot?